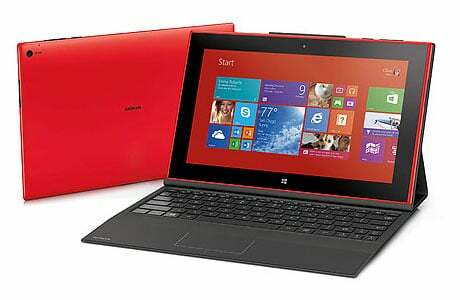 Nokia has shown off the Lumia 2520, a 10.1-inch Windows 8.1 RT tablet that includes NFC and features 4G LTE and WiFi as well as a 6.7 megapixel camera with a Zeiss lens. A long life battery will charge from empty to 80% in an hour, Nokia says. The tablet will be available before the end of 2013, initially in the US, UK and Finland, with a price tag of US$499.